A rather alarming spiral staircase leads to the top of Llansteffan Castle's Great Gatehouse, from where there are wide-ranging views in all directions. This is looking north, along the Towy Estuary towards Carmarthen. 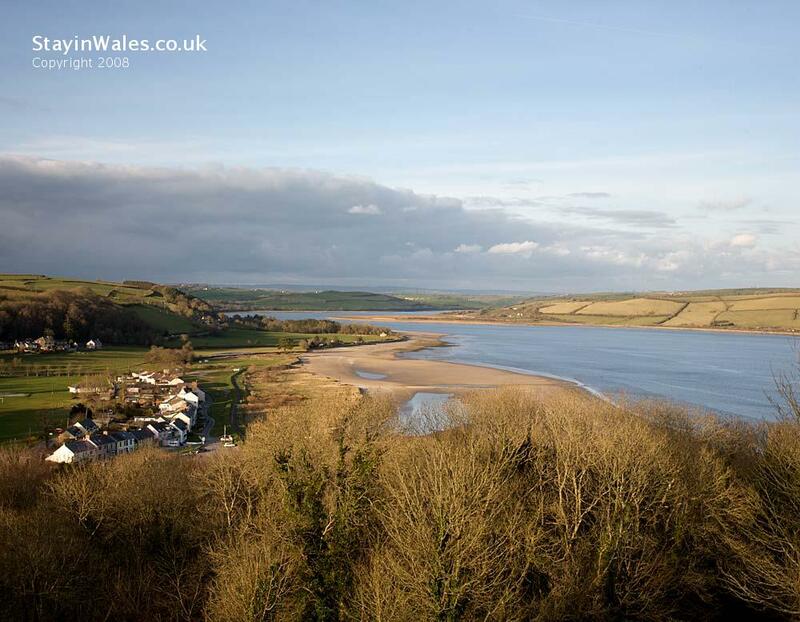 To the left is The Green, the riverside area of Llansteffan, which fronts onto the sandy beach which has made the village a popular holiday destination ever since the railway arrived at Ferryside on the far side of the river.